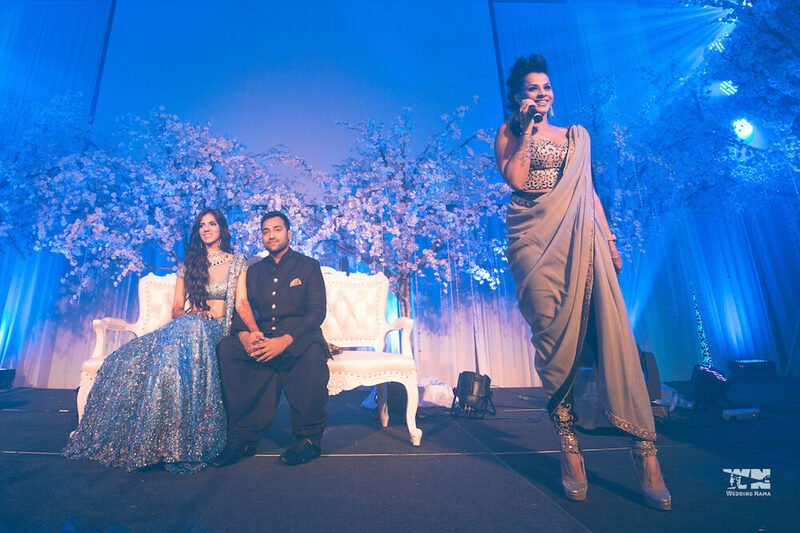 Special wedding moments can be accentuated by the use of special effects. 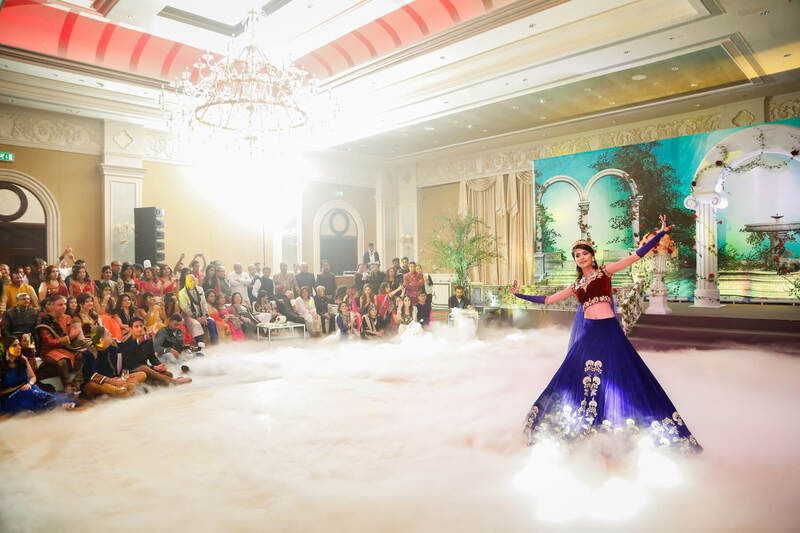 Learn the top six lighting and effects adding the "wow factor" to weddings all over the world! 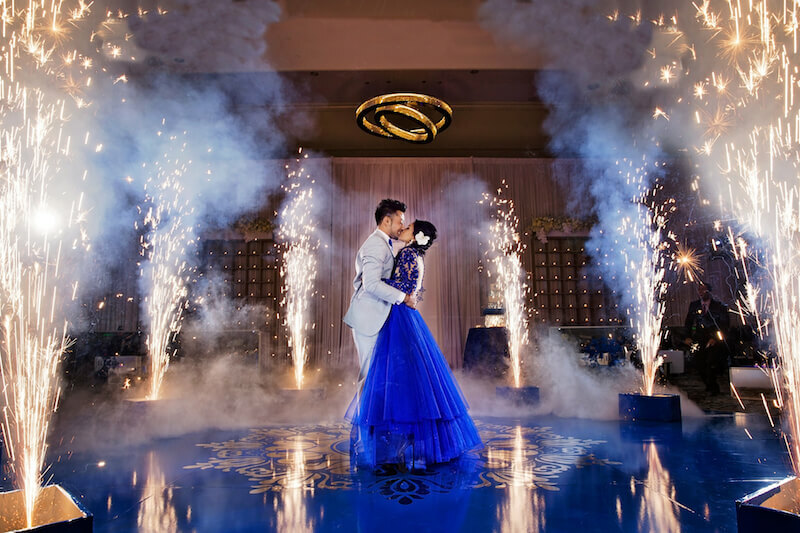 These fountains are without a doubt the most popular special effect used in extravagant weddings. 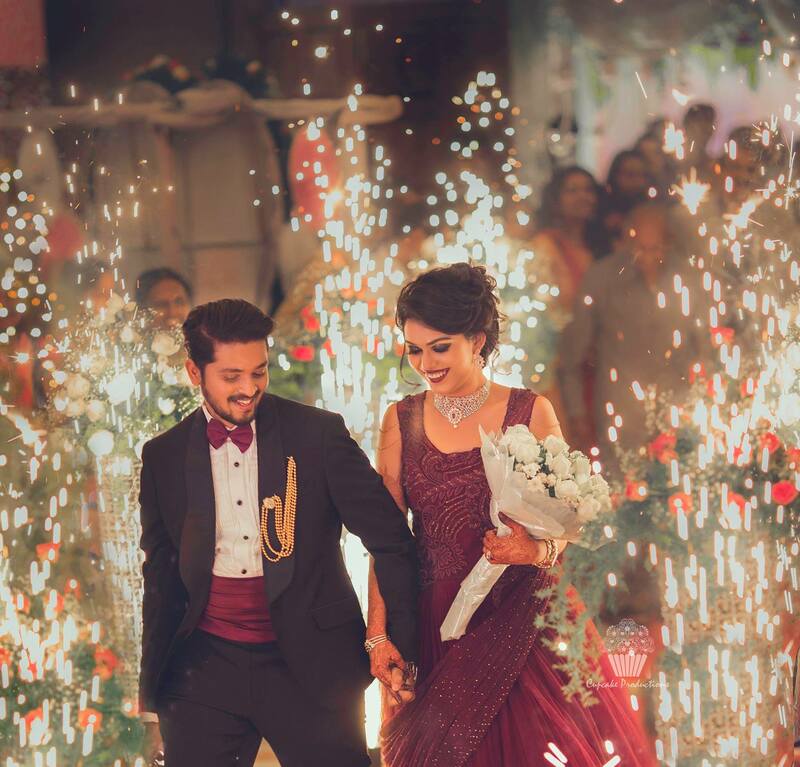 Most couples add the special effect alongside first dance, amidst a grand entrance or another notable moment. Plumes of silver and gold project upwards in an dazzling array of sparks up to 8-feet tall and 3-feet wide with a bright white flame. The glittering effect creates a truly stunning sound and visual for guests. A low-lying fog effect is whimsical and dramatic. 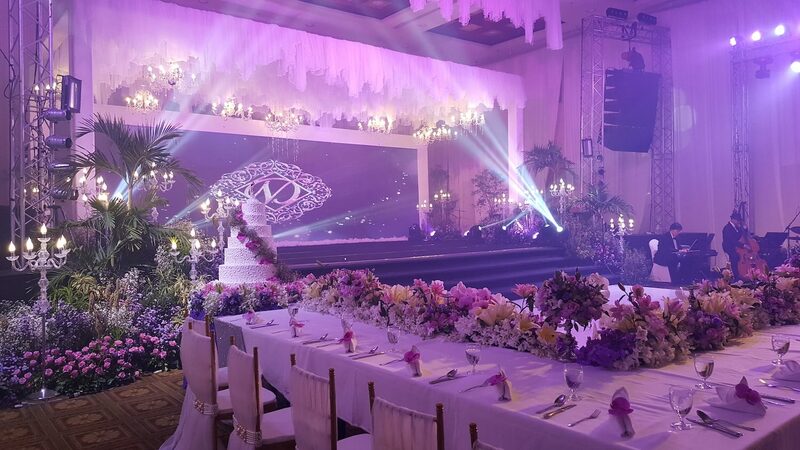 It’s widely used for fashion shows, events on stage and especially for weddings. A machine produces a thick, white fog that hugs the floor and dissipates without rising. 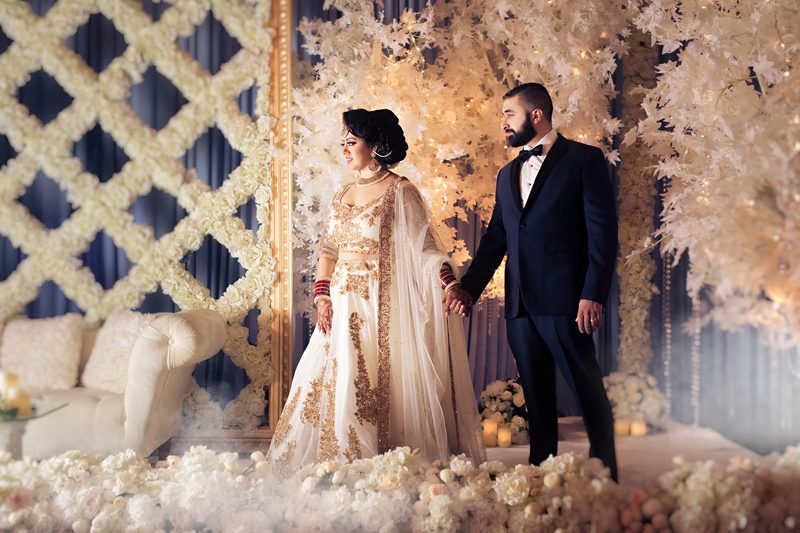 It adds the element of sophistication and drama to a couple’s reception and all the photos taken thereafter. 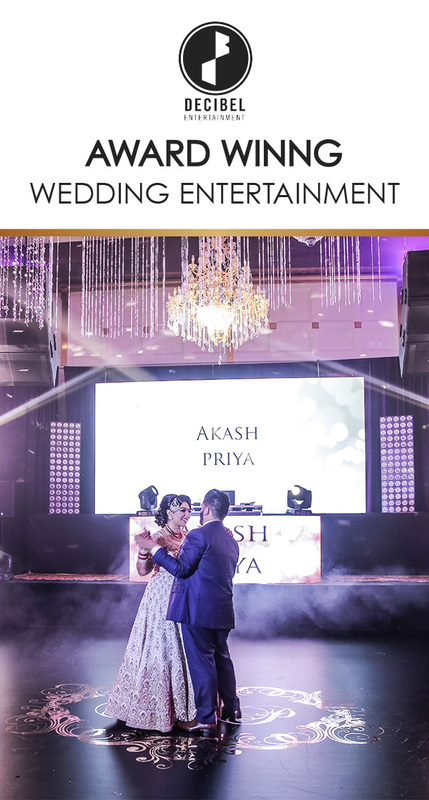 Intelligent, automated lights that move create eye-catching synchronized shows for guests both on and off the dance floor. An LED profile fixture combines top-quality white light with a color mixing system and crisp gobo projection patterns. 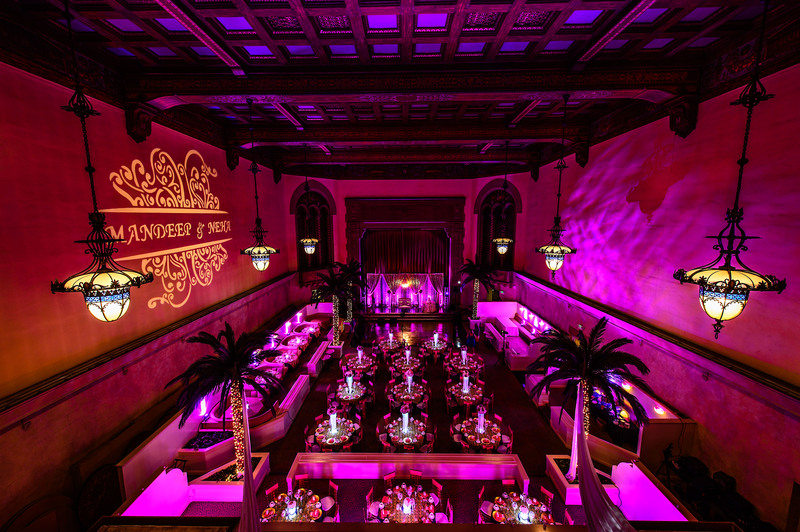 With patterns that fly, colors that change and shades than fade on-and-off, guests will be motivated to party! Intentional permitter lighting along with high-intensity wash units are used to uplight a reception space. Match the color with your reception decor or outfits! With the addition of a few lights, dimension and immediate ambience is added for guests to enjoy as they enter the room. Professionals place uplighting based on the architecture of the room including columns, sides of entrances and windows! 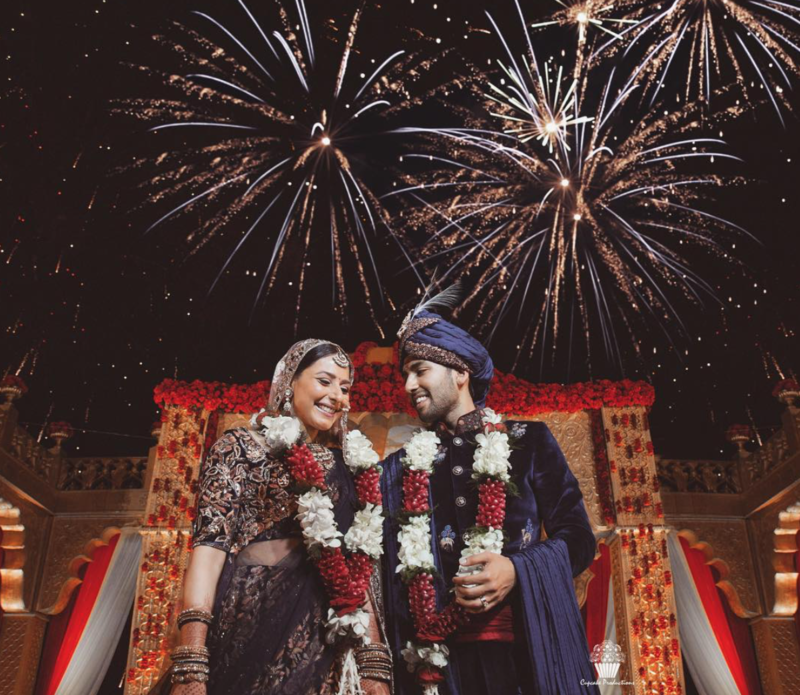 A lot of couples have opted for a beautiful array of fireworks to light up the sky outside their venue for their guests to enjoy during the night of their reception. The cost of such an unforgettable display is dependent upon how long the fireworks last and how many larger bursts are used in the show. Many times the display can be synchronized to the beat of a favorite song or melody. 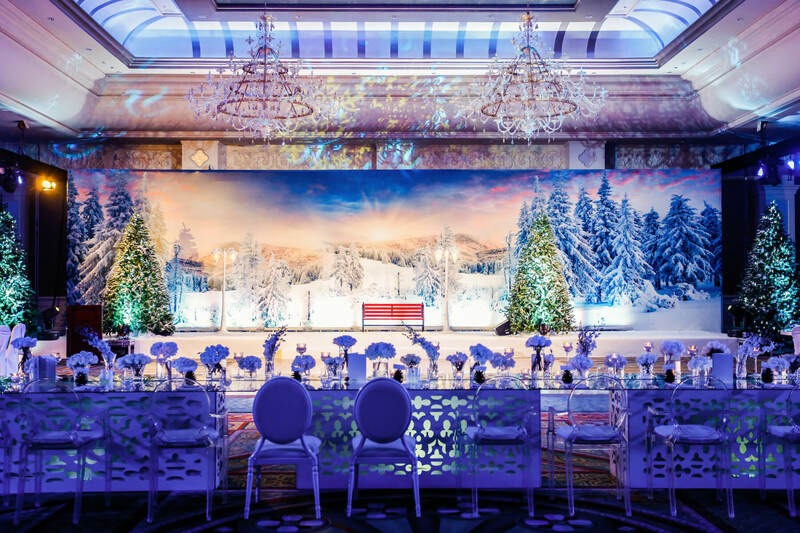 Specifically for themed receptions and weddings, custom-made scenic backdrops, props and displays can whisk your guests into another world. 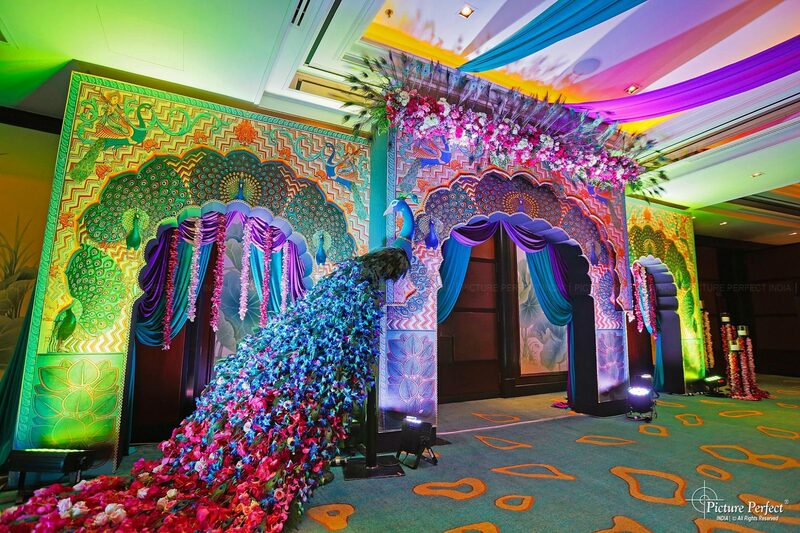 Some examples include a “Winter Wonderland” set an entrance that is peacock-themed. 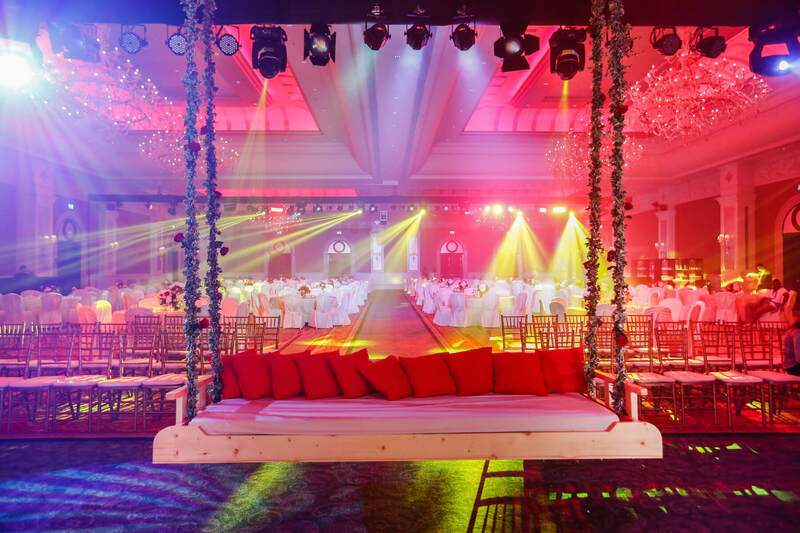 This takes planning in advance, often months for designers and carpenters to construct but is a magnificent way to personalize and add whimsy to your most special events.